Old hunter garb decorated with brass trinkets. At the time, some hunters believed that certain metals would ward off beast blood. On a night of the hunt, it is no wonder that people would resort to superstition. 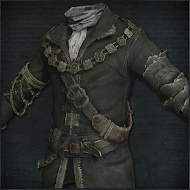 In the Old Hunters Collector's Edition Guide Decorative Old Hunter Set consists of Old Hunter Top Hat, Decorative Old Hunter Garb, Old Hunter Gloves and Decorative Old Hunter Trousers. 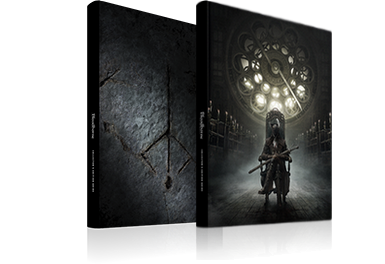 Whole set render can be seen on the right. 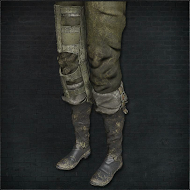 Decorative Old Hunter Trousers have one of the highest Physical defense of all Leg pieces.